Enter to win tickets by sending email with this link. (One winner will also win autographed vinyl). 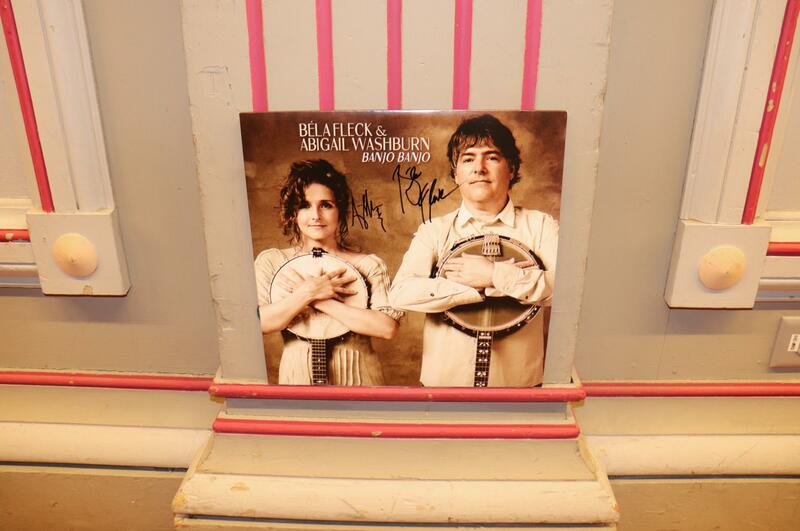 Béla Fleck & Abigail Washburn, “the king and queen of the banjo” (Paste Magazine), have a musical partnership like no other. Béla Fleck is a fifteen-time Grammy Award winner who has taken the instrument across multiple genres, and Abigail Washburn is a singer-songwriter and clawhammer banjo player who re-radicalized it by combining it with Far East culture and sounds. The two met at a square dance, began collaborating musically and eventually fell in love. Over the years, they played together most visibly in the Sparrow Quartet alongside Ben Sollee and Casey Driessen, and informally at a pickin’ party here, a benefit there, or occasionally popping up in each other’s solo shows. Fans of tradition-tweaking acoustic fare eagerly anticipated that Béla & Abigail would begin making music together as a duo.